Chronicle Books, San Francisco, 2008. 108 pp., 80 color illustrations., 13¼x17". 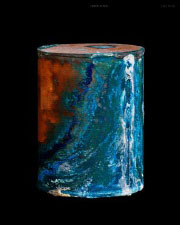 Esteemed photographer David Maisel has created a somber and beautiful series of images depicting canisters containing the cremated remains of the unclaimed dead from an Oregon psychiatric hospital. 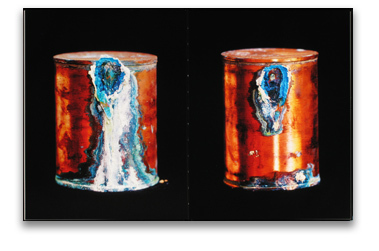 Dating back as far as the nineteenth century, these canisters have undergone chemical reactions, causing extravagant blooms of brilliant white, green, and blue corrosion, revealing unexpected beauty in the most unlikely of places. This stately volume is both a quietly astonishing body of fine art from a preeminent contemporary photographer, and an exceptionally poignant monument to the unknown deceased.